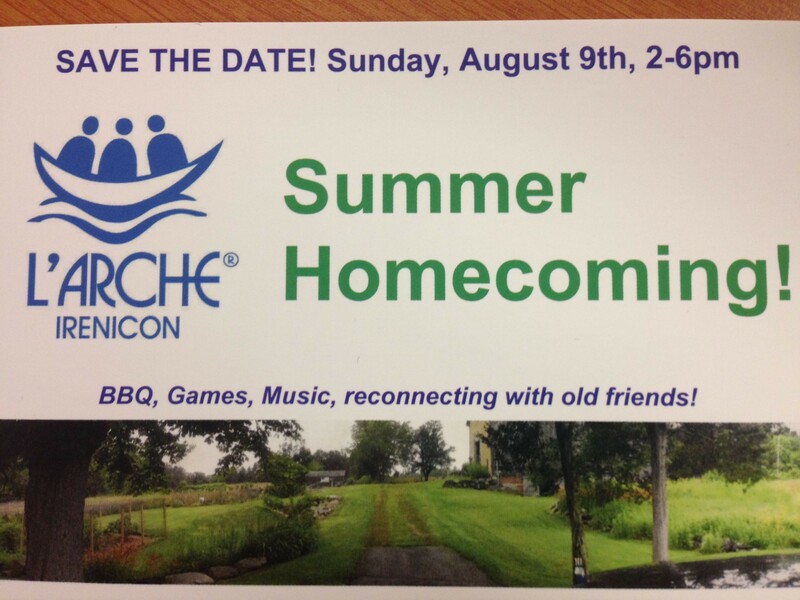 All are invited to join L’Arche Irenicon for the 3rd Annual community homecoming! 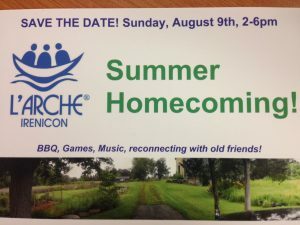 A great time to come and reconnect with the L’Arche community and old friends. Sunday August 9th from 2 to 6 PM. L’Arche will provide food, you bring your chairs and blankets and smiling faces!